Hi Odette! I just came across your site today and I'm hoping you can help me out. I see videos online all the time of beautiful dancers who execute amazing turning sequences. Some of them do six or seven pirouettes in a row! How can I get to that level? On average, I can do a good triple. How can I increase that? Also, that's only on the right. My left hand turns are terrible, and I just don't know what I'm doing wrong. If you could help me out, that would be great. Thanks! Thank you for coming to me, I will do my best to help you and give you some of my own personal tips! It's good to hear you can do a triple because that means you do have the force and momentum to get around. It's also great to hear how enthusiastic you are to improve your turns - that determination is essential!! I completely know how you're feeling - you see all these great dancers doing multiple turns and they make it look so effortless, they make it look easy! Firstly, whatever the number of turns you do, it's essential to keep absolutely placed with the correct posture and a secure arm position. If the basic positioning of your body isn't placed then the turns won't work. That's why pirouettes can seem frustrating or unpredictable, if there's one little thing misplaced it can completely throw you off balance. were doing. As a student, I made sure I remembered each little correction I got for pirouettes because each one helped me progress. As you get different corrections, right them down and mentally go through them before you practice. This will get it into your muscle memory so you won't keep getting the same corrections. You have to take action and push yourself to doing more than what you're comfortable with, go out of your comfort zone. If you know you can do a secure double, you don't need to practice them anymore - push for more and go for the multiple turns. But be patient, pirouettes are not something that will come in a day. You just have to keep persevering and keep pushing for more. It's natural for dancers to turn better on one side, but it is beneficial to practice on both the right and left side as it will increase strength on both sides of your body. Practicing on your bad side has also been known to strengthen your good side so keep persevering! 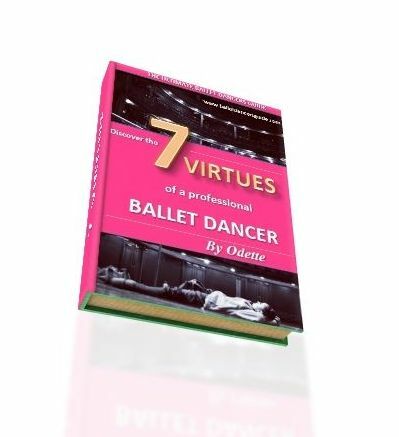 There are endless tips and corrections for pirouettes - I could speak on forever! 1. DO NOT leave the incoming side behind. Bring the arms around with you as you turn and keep the first position in front of your body. ......... Keep practicing and keep pushing for more!